Home Blogs Modern Medicine The Seven Deadly Sins! Were you aware that heart disease is still one of the greatest killers of mankind, ranking a strong second after the Thailand motorcycle riders road toll – OK, I exaggerated that a little, but the road toll in this country is a blight on the face of the community. But it will stay unchecked. Interestingly, if you look at the major causes of death by development of the countries, in the high income countries death toll comes from heart disease, stroke and lung cancer, middle income countries have stroke, heart disease and lung disease and for the low income countries it is heart disease, respiratory infections and then HIV/AIDS. There are many reasons for the differences, including dietary, socio-economic, educational, development of health services and tobacco and alcohol abuse. However, this week I am only going to address heart disease, and the seven deadly ‘sins’ that can predict your likelihood of getting (and suffering from) heart disease. 1. High Blood Pressure: 20 percent of elderly people suffer from this condition. Imagine trying to blow through a long tube. If the tube becomes constricted for any reason, you will have to blow harder, increasing the pressure. Blood pressure is the same – if the arteries are constricted or less pliable, it takes a greater pressure to force the blood around. The heart has to work harder to produce the increased pressure, and eventually the heart gets tired and fails. 2. High cholesterol: High cholesterol foods such as egg yolk, offal, animal brain, animal fats, dairy products, seafood, oyster, squid, etc, leave deposits in the blood vessel walls. As a result, the fat “plaque” on the vessel walls obstructs the blood flow and this will eventually cause heart disease, as per the first deadly sin above. 3. Smoking: Smoking is a primary factor in the causation of coronary artery disease. Smokers are at a much higher risk, even two times more than non-smokers. Smoking increases adrenaline, which causes an increased heart rate, increased blood pressure and lowers the amount of oxygen carried by the blood. 4. Diabetes: Diabetic people have twice the risk of congestive heart failure than people with normal blood sugar levels, due to their increased weight (see number 5) and high cholesterol levels produced in the blood. 5. Obesity: People who are fatter than average have to face a 30-40 percent increase in risk of heart disease compared to thin people. In just carting around the extra weight, the heart has to work harder (and the knee and hip joints wear out). Try walking around with 10 kg backpack and tell me how you feel at the end of a week. Tired? Of course. And your heart is tired too. 6. Stress: Stress is not totally bad for us, as it keeps you going, and in an appropriate level actually stimulates our curiosity and motivation; however, by getting over-stressed, adrenaline levels are increased and this may lead to abnormal heart function. Though stress is not the main cause of heart disease, it can make the artery walls less flexible, which is the beginning of heart disease. 7. Lack of exercise: Exercise is the best way to increase high density lipoprotein (HDL) – “good” cholesterol that prevents the arteries becoming abnormal. By exercising, blood pressure, body weight, and the possibility of thrombosis will be reduced. So you can see just how these seven risk factors all are inter-related. Keep the arteries clean, watch the diet and ensure you have a reasonable level of exercise. Check the Blood Pressure and stop smoking. Remember too, that as you get older, the chances (and risks) of heart disease are higher. (Young males are more likely to die from clumsy motorcycle parking.) Statistically, men aged over 40 years as well as the postmenopausal women have a higher risk than adolescents. Despite our knowledge, we still cannot predict exactly when the demise will come, but looking at the big picture, we do know that smoking, overweight, unfit diabetics with high blood pressure and high cholesterol do not live as long as non-smoking, fit, lean people with normal blood pressure, and normal blood sugar and cholesterol levels. Do you know your levels? A brief medical check-up will tell you. Next articleGoing Underwater! With a wetsuit! Cardiac unit diet – fast weight loss? 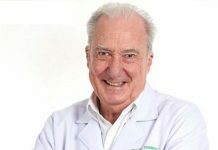 Will Peyronie’s disease drive you round the bend?